In a recent article for Coindesk titled How to Last the Crypto Winter, Decred project lead Jake Yocom-Piatt describes the complexity faced by both investors and projects in the still-nascent blockchain industry. The entire article is excellent and well worth a read, but there was one part in particular that stood out to me. There is a minority that is incredibly well informed and a majority who are quite uninformed. This knowledge gap often benefits the well-informed at the direct expense of the uninformed, so the former are incentivized to maintain this arrangement. This discrepancy between investor competence levels isn’t surprising when you consider what it is we are all investing in. 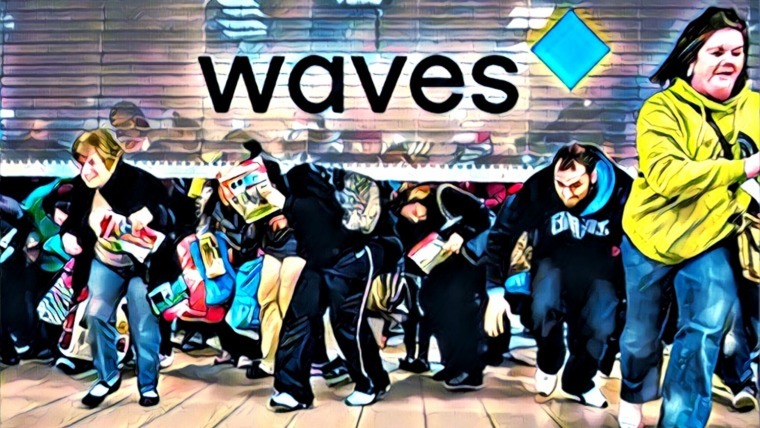 These aren’t global brands with stores in your local mall, nor online platforms with hundreds of millions of users. There aren’t quarterly sales reports nor well-established regulatory guidelines. At the end of the day, it all comes down to code. And the majority of us investors can’t read it. Truly solid code — code that’s worthy of supporting a multi-million or multi-billion dollar market cap — is uncommon. 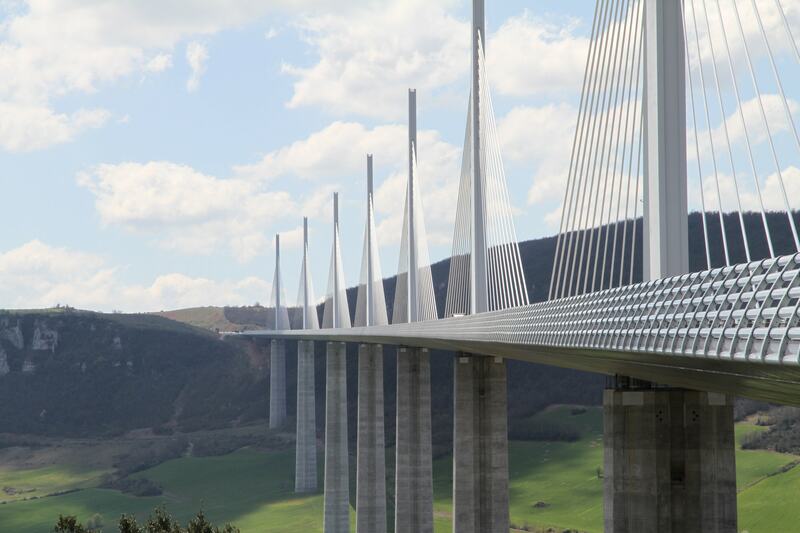 Projects with coherent value propositions that could entice traditional venture capital are, likewise, uncommon. 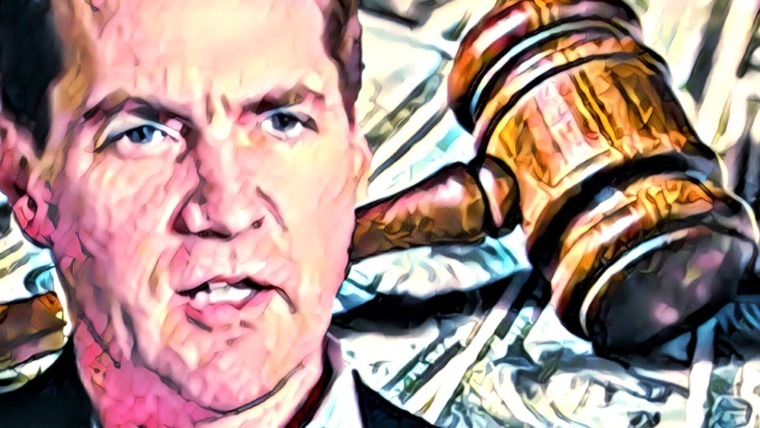 Finally, teams with strong ethics and integrity that can be trusted to do right by investors to the utmost of their abilities are — you guessed it — uncommon. One thing that is common in the cryptocurrency industry is marketing. And the goal of marketing in any industry is NOT to use logic and education to inform investors so that they can make rational investment choices. The goal of marketing is to make you feel emotions that you associate with the product being marketed. Marketing is often designed to make you feel pain in the form of insecurity, fear (FOMO), and dissatisfaction. Then it tries to convince you that if you just buy this product (or invest in this token), you’ll feel secure, confident, and satisfied. Here’s the secret that you MUST know if you want to be successful in this space: Emotions are your worst enemy when it comes to investing and trading. When you make decisions based on emotions, the market rewards you by taking your money and redistributing it to those who were less emotional and better informed than you. 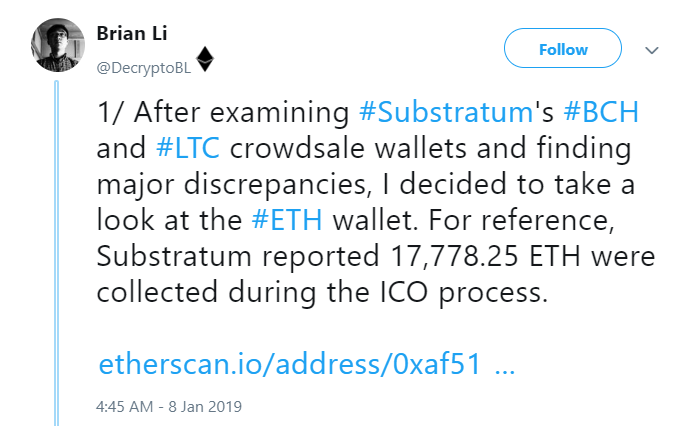 Emotional attachment is the reason that some people in the Substratum community were/are in denial when confronted by evidence suggesting that some of their ICO funds had been used improperly (to put it nicely). If you are emotionally tied to your investment choices, you’re already fighting an uphill battle. Add to that a lack of general skepticism or laziness when it comes to doing your own thorough research, and the odds are stacked even higher against you. So then, what’s to be done? Investing is a game, and the better you understand the intricacies of how the game is played, the better your chances of succeeding. If you don’t have a background in tech or finance and you haven’t been through more than one full market cycle in crypto, then it’s an almost certainty that many people in the market have a leg up on you. But you don’t need to know how to code or have 10+ years experience in financial markets to separate yourself from the uninformed majority that loses money. Just by understanding what role marketing plays in the industry and defaulting to skepticism anytime you read a promotion of certain cryptocurrencies (even the ones in this article), you’ll already be immensely better off than most. Following that up with an understanding that the market will punish you for being emotional further increases your likelihood of success. Last but not least, doing your own research and focusing critically on the value propositions and the reputations of the teams you’re investing in — rather than the promises they make — can propel you all the way across the bridge into the well-informed minority. I am not a computer scientist, nor have I ever worked in finance. However, those facts haven’t stopped me from working very hard to gain a competitive advantage in the market by learning about cryptography, game theory, the history of money, and many more relevant subjects. If you’re willing to invest large percentages of your portfolio into cryptocurrencies, some understanding of each of those topics can be highly advantageous. I have learned quite a few lessons the hard way in this crypto winter, and I’ve just shared some of the most important of those lessons with you in the text above. What follows is an overview of the 3 cryptocurrencies that I’m most confident in HODLing through the duration of the crypto winter. Yes, I am shilling my bags to all of you and I’m not going to hide it. 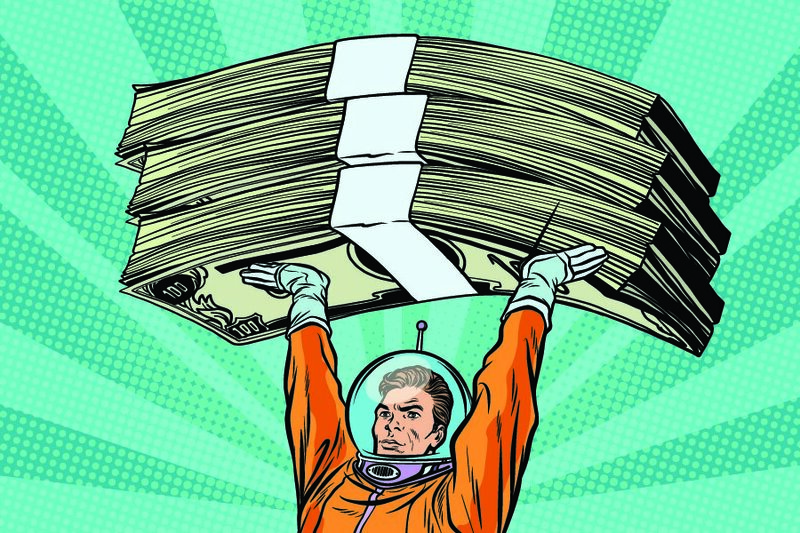 You can and should be skeptical, and you should not construe this as investment advice. That being said, I have a lot of skin in the game and a lot of conviction founded on countless hours of research, participation in the coin communities, and critical thought. If you want to find out why, I encourage you to keep reading! I considered leaving Bitcoin out of this article just because it’s such an obvious choice. After giving it some more thought, though, that didn’t seem right. The Bullish Case for Bitcoin remains as good a case as one can make for any cryptocurrency. Bitcoin may not be perfect, but it is nonetheless a superior alternative to fiat currencies and other cryptocurrencies as well thanks to its scarcity, censorship resistance, transferability, and resilience, to name just some of its important properties. As the cryptocurrency with the longest track record and by far the most name recognition, Bitcoin has the highest probability of achieving some significant measure of adoption as a store of value — giving it a multi-trillion dollar market cap as a result. Nothing significant has changed about Bitcoin’s fundamentals during the past year-plus of bear market. In fact, the Lightning Network’s accelerating growth arguably gives Bitcoin a much stronger case now than it had during the frenzied peaks of the bull market, although I would be remiss not to mention that the Lightning Network doesn’t solve all of Bitcoin’s scaling issues on its own. All things considered, Bitcoin is still the strongest HODL in crypto. Next up is the project that I’ve already mentioned indirectly in this article: Decred. In a pistachio shell, Decred differentiates itself with community-based governance, strong engineering and transparency from the project team, and a hybrid proof-of-work/proof-of-stake consensus system that makes it extremely expensive to 51% attack relative to other coins of similar market cap size. There are numerous reasons why I’m HODLing Decred and buying more during the crypto winter. 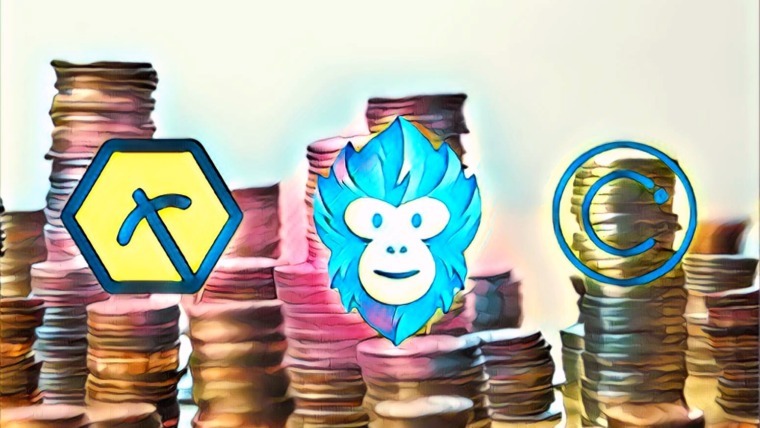 One feature worth mentioning is their one-of-a-kind DEX based on atomic swaps, which I discussed in greater depth in a past article, Why You Should Keep an Eye on Decred. Although this DEX shouldn’t directly impact DCR’s price, it’s yet another indicator of Decred’s technological chops and dedication to bringing cryptocurrencies mainstream. I could go on and on, but space is short so I’m just going to cut straight to the heart of my rationale for making DCR a big part of my portfolio. Last October, Decred launched Politeia — the industry’s most advanced tool for decentralized governance. With a well-informed and highly ethos-driven community, Decred’s future is now in the hands of its stakeholders. My investment in Decred ultimately comes down to an unanswered question about which property is better between resilience and adaptability. 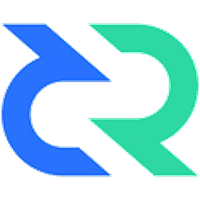 Where Decred is built to evolve and improve relatively quickly, Bitcoin is quite resilient to change – a fact which has thus far led to some big fractures in the Bitcoin community and a lot of hard forks. Now, it’s possible that Bitcoin’s lack of adaptability is a feature — not a bug — and that a widely adopted store of value needs to be extremely difficult to change. 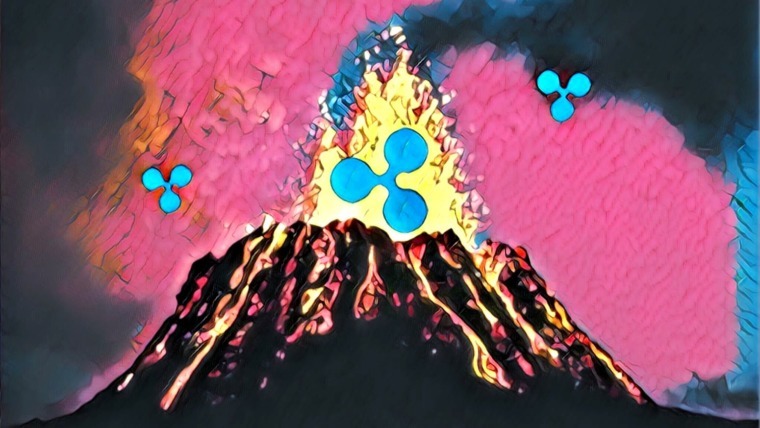 On the other hand, it’s also possible that Decred’s superior adaptability will enable it to scale and grow more feature rich at a much faster pace than Bitcoin while maintaining the fundamental properties that the two coins share, such as scarcity (both have a fixed supply of 21 million) and censorship resistance. Since I’m uncertain what the outcome of this cryptocurrency experiment will be, it’s only rational to hedge my bets. Decred, in my opinion, is the best hedge against Bitcoin that exists in the cryptocurrency market today. The “smart contract platform” category of cryptocurrencies is one of the most diverse and competitive. Ethereum has been the clear leader for the last few years, but it is struggling mightily to scale and still has an extremely uncertain transition to proof-of-stake ahead of it. 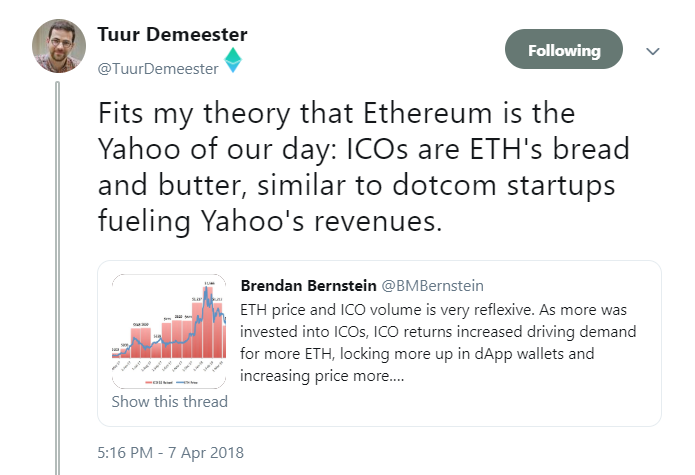 Bitcoiner Tuur Demeester has tweeted about an interesting theory that Ethereum might be the Yahoo of our day, referencing the fact that Yahoo was valued at over $100 billion during the dotcom bubble but never got back to those heights afterwards. In the interest of transparency, I will say that I’m still invested in Ethereum due in large part to its industry-leading development community. But if we go on the entirely plausible assumption that Ethereum won’t be the winning smart contract platform, that begs the question of which competitor can pass it? Answering this question correctly and acting accordingly can have a massive payoff down the line, just as investing in Google rather than Yahoo in 2004 did. Cardano is building slow and steady through a process of rigorous academic peer review, a unique approach that makes it both innovative and reliable. Charles Hoskinson, CEO of IOHK, is one of the most qualified technical leaders in the entire industry and has been in the smart contract world since the beginning, having worked extensively on Ethereum and Ethereum Classic. Despite consistent development progress, including entering the Shelley phase in Q1 2019, Cardano is still flying under the radar compared to other platform cryptocurrencies. This isn’t all that surprising, given that Cardano’s long-term approach doesn’t have the same flash and hype as the successful marketing campaigns of other so called “Ethereum Killers.” In the midst of a crypto winter, however, I’ll take well-executed engineering over successful marketing every day. Cardano is establishing a presence in the developing world, paying special attention to Africa, underdeveloped regions of Asia, and South America. Wherever existing infrastructure is sorely lacking, cryptocurrencies can make an immediate positive difference in people’s lives and Cardano is positioning itself to gain a large portion of those early adopters. 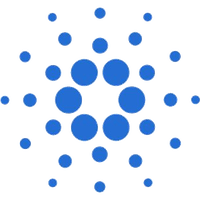 All things considered, Cardano appears to be the most responsible and competently run organization in the entire smart contract space. I don’t have the technological chops to really analyze any of these platforms too deeply beneath the surface, so it really comes down to choosing the strongest team and community. In that respect, Cardano is an obvious choice. The crypto winter has been the opposite of an alt-season thus far, with Bitcoin retaining the most market cap of any major coins since the speculative bubble popped. Without strong evidence to suggest that the market is changing in the near future, I’m not in favor of diversifying into a lot of alts just yet. The winter is just about surviving so that you can prosper in the spring, and with BTC, DCR, and ADA, I’m looking forward to finding out how prosperous the spring will be. Daniel began his career as a mechanical engineer but has now transitioned into working full-time in the cryptocurrency space. Besides writing for Invest In Blockchain, Daniel also works on several other educational projects including Coins2Learn, a cryptocurrency market simulator platform.